WIth the E-Cigarette market expanding by the day, the ways consumers are vaping is continually changing. To help new users differentiate between the various models and educate current vapers on upgrades, we’ve explained the different e-cigarette types below. Although specific options differ between brands, there are three main types of e-cigs: Minis, Vape Pens and MODs. Personal preference will clearly dictate your choice, but knowing the details is step one to finding your ideal vaping unit. Because of their easily-adopted design and similar smoking experience to traditional cigarettes, Minis are the most obvious choice for first-time E-Cig users. Simply purchase and start smoking. Moreso, they’re readily available in both disposable and rechargeable options - both of which almost always cost less than more advanced electronic cigs. The downfall of Minis is there’s only so far users can go with them, when compared to the alternatives. For instance, Minis have shorter battery life, less flavor options and almost no ability to customize. Plus, they don’t last nearly as long as advanced E-Cig options. 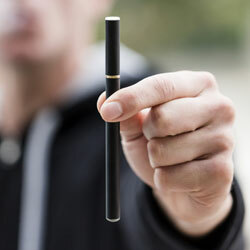 These E-Cigarettes are are also handheld and operate like traditional Minis. However, the main difference between these and Minis is they’re much more dynamic. Aside from being slightly larger in look and feel, Vape Pens offer users longer battery life, more eLiquid storage, increased controls and heavier vapor output. The most obvious difference between a Vape Pen and a Mini is that Vape Pens are powered by manual batteries, meaning users must hit a button to activate the heating element and produce vapor, whereas Minis can be puffed on a whim. Additionally, Vape Pens tend to have a much longer lifespan than Minis, in general. Typically, Vape Pens are the stepping stone for E-Cig smokers, moving from casually smoking Minis to more customizable options, like MODS and PVs. 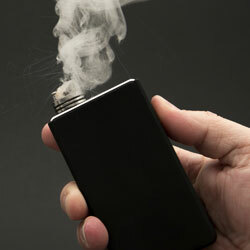 One E-Cigarette model that’s becoming increasingly popular in recent years is a MOD, also known as a PV (Personal Vaporizer). These hand-held vaporizers are much more complex than traditional Minis or Vape Pens - often looking like a fancy stopwatch or big lighter. They are typically geared towards the more hands-on E-Cig user, because they’re able to be completely customized, inside and out. Not only can vapers clean them for more efficient reusability, smokers can upgrade numerous aspects of the device. For instance, most MODs allow technical users to extend their battery life with voltage adjustments, earn maximum vapor output with unregulated tanks, even build and implement homemade atomizers. Furthermore, many MODs & PVs come with speciality options like pass-through charging or variable wattage. Others have a screen display that can show battery power, atomizer resistance, wattage, and voltage. At My Vapor Store, we specialize in MODs & PVs, because of their customizability and ability to match any of our customers’ needs. Whether you’re looking for Box Mods, eGo Series Mods, Hybrid Mods, Mechanical Mod or Variable Voltage Mods, we offer the best selection of MODs & PVs in the industry.